In a speech marking UC’s 150th anniversary, University of California President Janet Napolitano called on the UC Academic Senate to begin conceptualizing ways that every qualified community college student would be guaranteed admission to UC. Through established guidelines and replicating policies already in place that admit qualified transfers to UC, Napolitano’s bold plan will help the UC system become a more accessible source of higher education. Napolitano’s call to guarantee admission for all qualified California community college students is a bold initiative that, if carried out correctly, can open the doors of UC for individuals who may otherwise have been locked out. In her speech, Napolitano aimed for new policies that admit all qualified transfers to be implemented as early as fall of 2019. However, she did not specify what she meant by qualified. With this goal in mind, the Academic Senate and UC have a decent amount of time to craft well thought-out policy that establishes fair criteria which will deem transfers as qualified and work out the logistics of potentially adding thousands of new students to UC campuses. 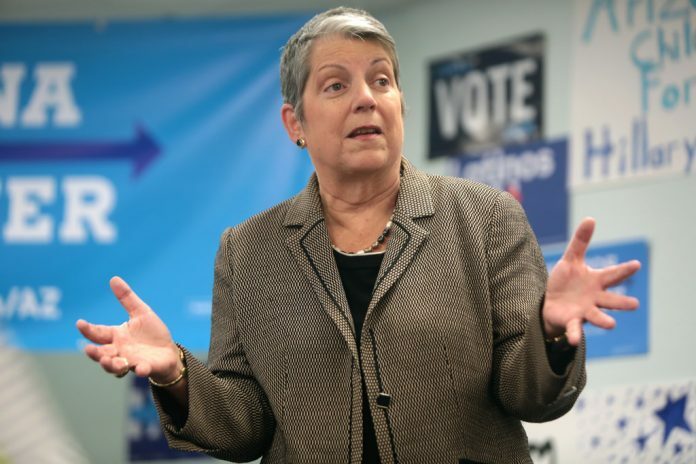 One way Napolitano plans to increase capacity on UC campuses is by increasing the four-year graduation rate; she called on UC chancellors to boost the percentage of students graduating in four years from 64 percent to 70 percent by 2030. As Napolitano noted in her speech, boosted graduation rates will lead to an additional production of 32,000 undergraduate degrees over the next dozen years. This additional space on UC campuses that increased graduation rates can open up will make it easier for the UC to absorb thousands of new enrollees, including qualified transfers. Furthermore, the UC Transfer Admission Guarantee (TAG), which some UC campuses already offer, has a framework to ensure that only qualified community college students are accepted. The framework requires transfers to meet certain GPA and coursework requirements that can serve as a basis for Napolitano’s plan. Currently, only six UC campuses, including UCSB, participate in TAG. Community college students who participate in the program receive specific guidance about major preparation and general education coursework which ensures that they are well-prepared for when they transfer to UC campuses. By following TAG’s model, the UC can admit qualified transfers while simultaneously guaranteeing that the UC system will not become overcrowded with under-qualified transfers who still need to complete lower division classes. If there is still any doubt about implementing a policy that ensures that qualified transfers are accepted to UC, then one only has to look at the Associate Degree for Transfer. Associate Degree for Transfer is a special degree offered at California community colleges that guarantees recipients admission to a California State University so long as they meet a CSU’s minimum eligibility requirements. If the CSU system can implement a policy through which all qualified transfer students are accepted, then the UC surely can too. It is actually the UC system’s goal to do so, as stated in the mission statement from the University of California Academic Plan of 1974-78. 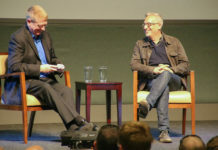 “The distinctive mission of the University is to serve society as a center of higher learning, providing long-term societal benefits through transmitting advanced knowledge,” according to the statement. Even more valuably, the UC can help spur social mobility for low-income students if it institutes new policies which admit all qualified transfer students. As College Board reported, 40 percent of students at community colleges were dependent upon their parents for financial assistance. Of that 40 percent, 31 percent of students came from households with an income of less than $30,000. That means approximately 13 percent of students overall come from those households. As USA Today noted, college graduates on average earn 56 percent more than high school graduates. By taking in more qualified transfer students, the UC can encourage social mobility by providing an opportunity for a large proportion of low-income individuals to move up the economic ladder. If the UC wishes to live up to this goal, serving all of society as a center of higher education, then it should ensure that no qualified individual is kept off of a UC campus just because one spent the first two years of undergraduate education at a community college. By adopting policies already in place at CSU and some UC campuses and working to increase graduation rates, the UC system can admit more students who may not have the opportunity to attend a world-class research university otherwise.